SimpleRay Solar honored to be highlighted by Inc. Magazine, as one of the top 20 quickest growing private energy companies in America, and in the top 5 fastest growing businesses in the Twin Cities metro area in Minnesota. New Video: "Arc Flash Mitigation Using Mersen's Amp-Trap 2000 Fuses." China's power capacity will more than double by 2030 and renewables including large hydro will account for more than half of new plants, eroding coal's dominant share and attracting investment of $1.4 trillion. China's power sector carbon emissions could be in decline by 2027. The Global Electricity Initiative (GEI) today welcomes 15 CEOs from the world's major electrical utilities onto its board of advisors. 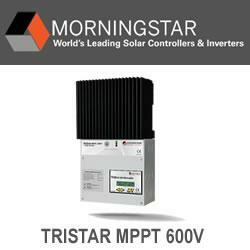 Microinverters are devices that convert direct current (DC) electricity from a single solar module into alternating current (AC). Milford, NH- Hendrix Wire & Cable, a premier provider of high quality overhead and underground power distribution products, announces a green solution for overhead distribution circuits with their Spacer Cable Systems. An efficient furnace lining is key to reducing overall maintenance costs and ensuring that facilities run smoothly without undue revenue loss due to downtime. Follow the five tips below to keep your furnace lining running efficiently.